Generations of college students celebrating spring break have made Fort Lauderdale famous, but no matter what time of the year you visit, the beach stretches out endlessly, the startlingly blue skies sparkle, and the warm water of the ocean invites you to dive right in. 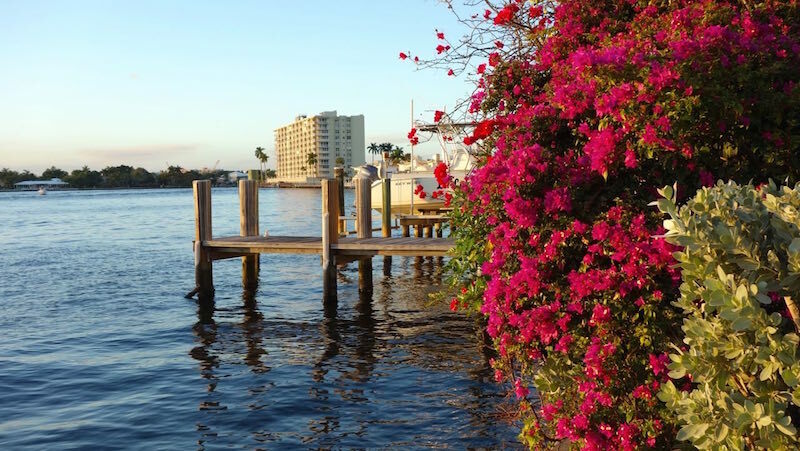 This is where the Florida of tourist dreams becomes reality! 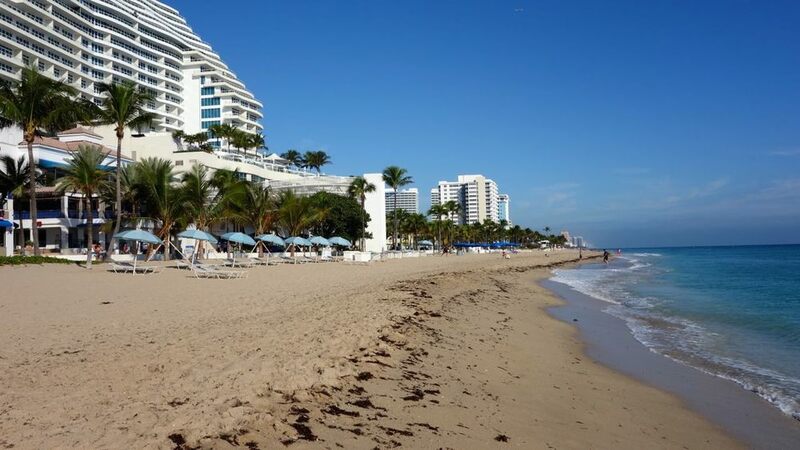 Finding the beach is never difficult in Fort Lauderdale since much of the city stretches out along the shore. Hotels cluster along the waterfront, so that you only have to walk a few yards to get to the sand. 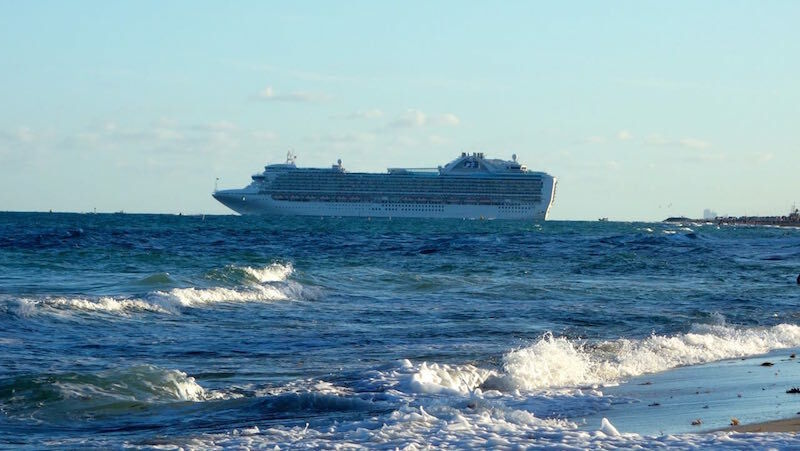 Sitting on the beach in the evening, you can see a procession of ocean liners pulling out from the cruiseport, which is a favourite departure point for cruises leaving for the Caribbean and Mexico. Fort Lauderdale is criss-crossed by inland canals that also serve as a highway. The yellow water taxis that ply the waterways are a very convenient, and certainly the most fun, way to get around. Many of the locals have their own boats and the waterfront bars and restaurants make it convenient to pull right up to them and drop anchor. It certainly beats trying to find a spot in the parking lot! 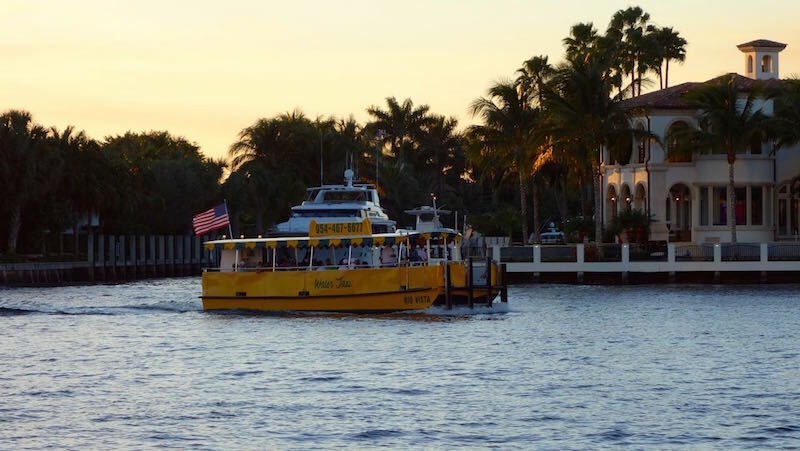 During our stay in Fort Lauderdale, we spent many a pleasant evening sitting out on the deck of these waterfront restaurants, watching the boats pull up, while enjoying the freshest seafood imaginable, under the twinkling night sky. You can really taste the freshness of the seafood when it is lightly steamed and served with melted butter and a zesty seafood sauce with a hint of horseradish, to dunk it in. 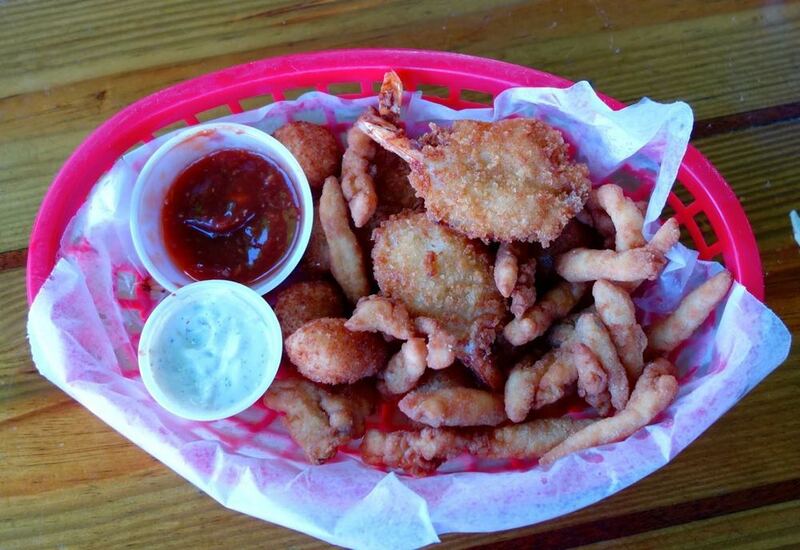 We also enjoyed it lightly battered and deep fried until crisp, with the seafood still moist and juicy inside. 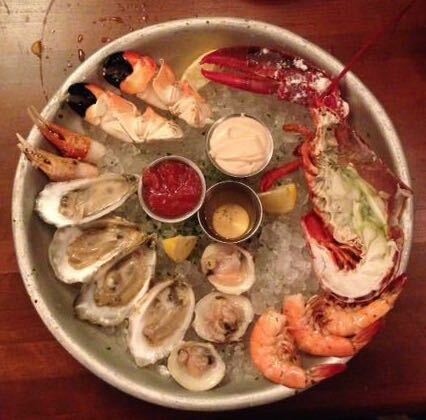 No matter how you eat it, seafood just tastes better in Fort Lauderdale! 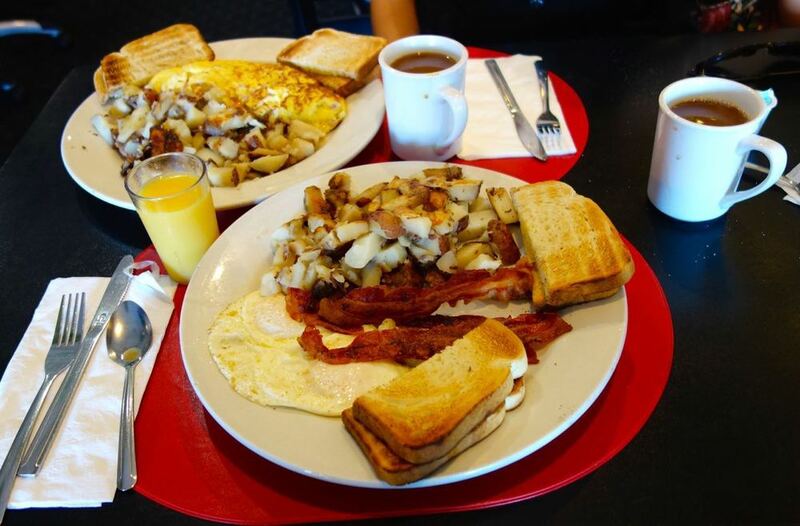 One of the highlights of our trip was a visit to The Floridian Diner for breakfast. This well known institution has been in business since 1937 and has catered to many, many celebrities, whose pictures still grace the walls. 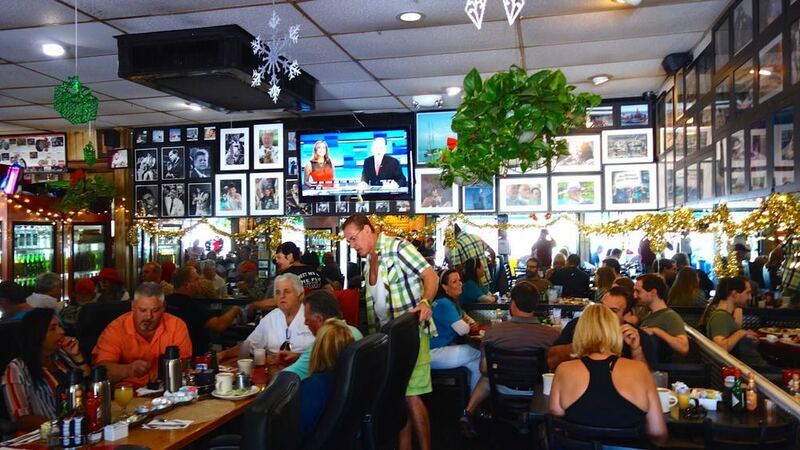 It has also been featured on Rachel Ray's TV show and is a popular gathering spot for locals and tourists alike. We also got to eat fantastic Mexican food in the city. 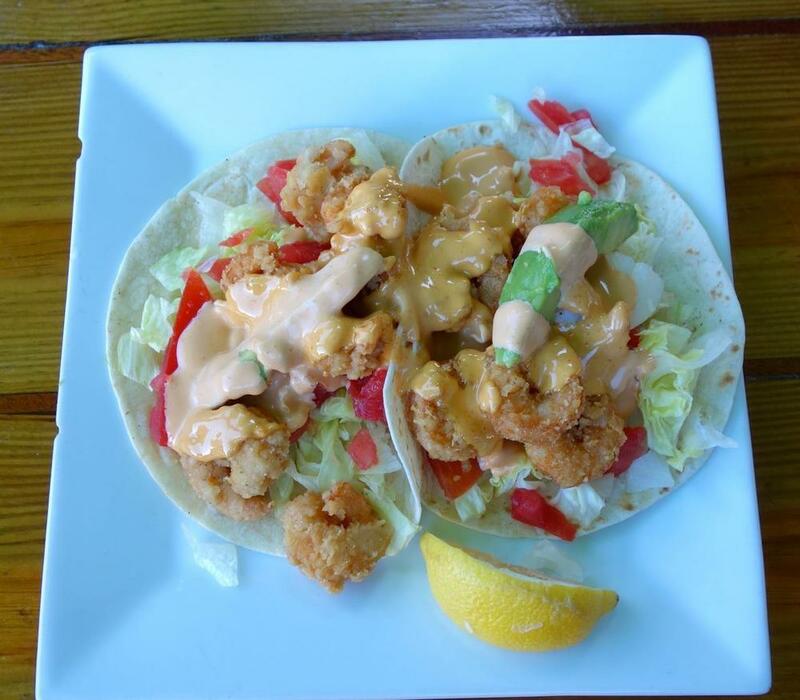 While shrimp tacos were the norm everywhere, it was the pulled chicken tacos that got us hooked! Simmered for a long time in a rich and spicy tomato based sauce, they were tender and delicious! Really easy to make, the ingredients for the pulled chicken can be thrown together in a pot and left to simmer gently while you relax and inhale the savoury aromas wafting from the stove. Hearty, filling and comforting with the bright colours and fresh flavours of the crunchy vegetables, these tacos are perfect for any season or any night of the week! You can use beef or lamb in place of the chicken and add a dollop of sour cream as well! For a change of pace, serve pulled chicken and toppings on a bed of rice or in a lettuce wrap. Warm oil in deep skillet over medium high heat. Add onions, sweet peppers and garlic. Saute for about 5 min until onions are lightly browned and softened. Add chicken and brown again for 5 min. Add tomatoes, chipotle pepper, water, salt and spices. Stir to mix, cover skillet and cook on low heat for 1 hour until chicken is very tender. Uncover skillet and cook for a further 10 minutes until chicken is falling apart. Remove chicken to bowl and continue cooking sauce until it is very thick, another 10 min. Shred chicken with two forks and add back to sauce in skillet. Fold in chopped coriander and lemon juice. Transfer to serving bowl. Warm tortillas and place on table along with chicken and assorted toppings for people to assemble their own tacos.